The PC turns off randomly problem is most likely caused by overheating problems, hardware problems, software problems or viruses. Please read this WHOLE article before attempting to fix your computer. The most common reason why a pc turns off randomly is because of overheating. When this happens, it is best to check inside the computer for dust build up and to see if the fans spin when your computer starts up. If there is dust, remove it with an air compressor container. If the fans do not spin, you can buy a special but inexpensive electronic cleaning container to fix the problem when your pc turns off randomly. Both the air compressor and electronic cleaning containers are available at practically any decent electronics store. 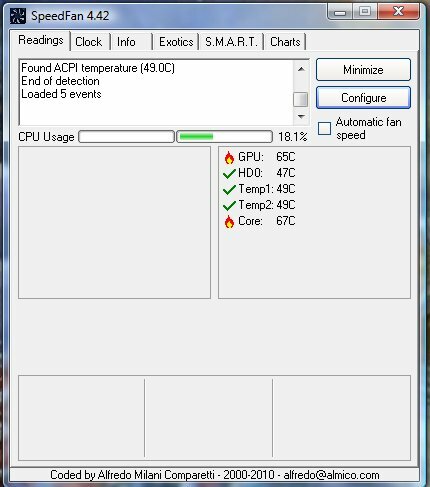 If you don't want to look inside your computer, you can download Speedfan for free and run the program to see if any of your computer's components are overheating. If any of them are above 90 degrees Celsius, bring your computer to a computer shop for a professional top clean your computer, or try cleaning the computer yourself. Your PC may also turn off randomly because of hardware problems. You know your computer has a hardware problem when: you have checked that your PC doesn't turn off because of overheating yet you still have the problem, when the computer turns off at a certain point (for instance, only when you try playing a game), you haven't changed your computer's major software configuration in a few days (meaning that you have not updated new drivers, installed or uninstalled big new programs, etc. ), and you have scanned your computer for viruses and none have been found on your computer. After you have checked all these things and your pc turns off randomly still, open Device Manager (press the Windows key+R, type in devmgmt.msc, and click OK). Click on all of the + signs and if you see any question marks or other suspicious signs, you will know the hardware problem you have and the corresponding hardware component you will have to replace. If there is nothing wrong in Device Manager, you may have a software problem or virus rather than a hardware problem that makes your pc turn off randomly. A software problem is most evident in causing your pc randomly turning off when you try to load a program or access a certain part of a program and your computer shuts down. These software "bugs" are common in older programs and newly developed programs where all the "bugs" have not been cleaned out yet. To fix this program, you can try to right click on the executable part of the program and click properties. 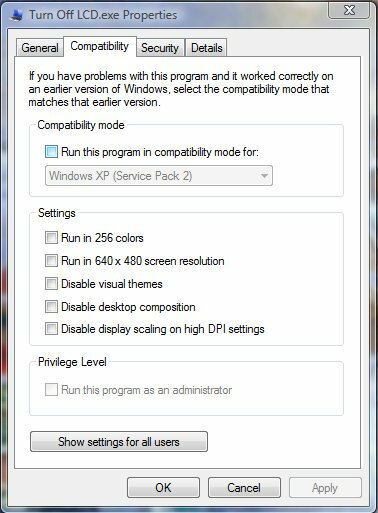 Try running the program in an earlier version of Windows or with different "Settings" to make it run without turning off your pc. 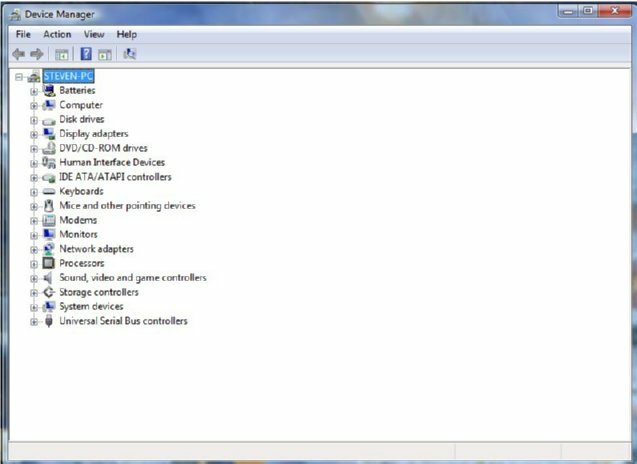 You can also try updating the drivers for your hardware components by going into Device Manager, clicking on the "+" signs for sound, video and game controllers and other components, right clicking the components and then selecting "Update Driver Software." Finally, you can check the software developer's webpage for bug fixes and updated versions of the program so that you do not have these problems anymore. A bad virus may also be why your pc turns off randomly. The simplest solution to this problem is to download a free anti-virus program and scan your computer for viruses. However, if you think your computer would randomly turn off while scanning for viruses, it is best to use an anti-virus program that you can boot from a CD or DVD when your computer first starts up. Check out this website for more information. If your pc still turns off randomly after you have completed all of these tasks, it is best to contact a computer professional to help you diagnose and fix your computer's problems. Refer to my Windows Shutdown Problems article for more computer shutdown problems. Good luck and thanks for reading my article on what to do when your pc turns off randomly.